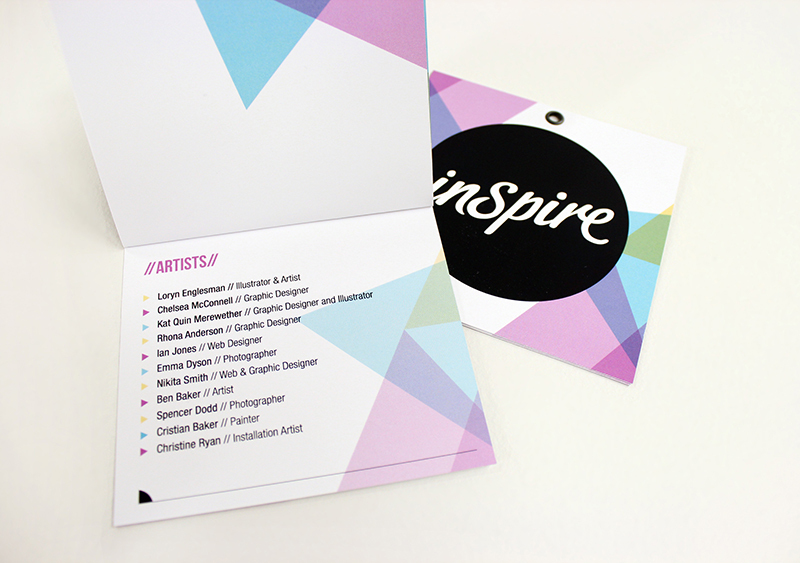 Inspire were wanting a contemporary brand for their annual exhibition. Inspire Exhibition showcases fresh, creative talent from New Zealand and around the world. The Exhibition is an inspirational networking event with standout speakers and creative workshops. This project involved creating a brand standards manual and promotional products for the event. We developed the logo, which is a custom hand lettered logotype. 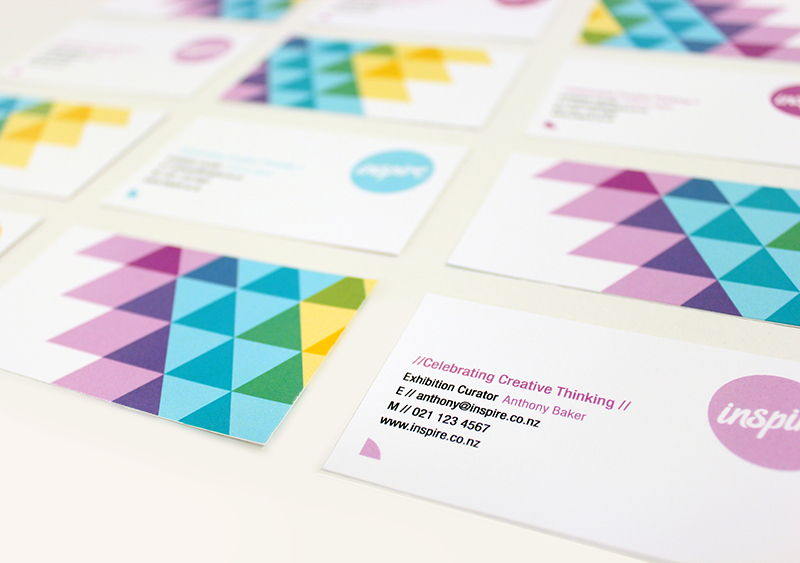 We also created a range of stationery for the event including business cards, lanyard programme and a promotional poster.